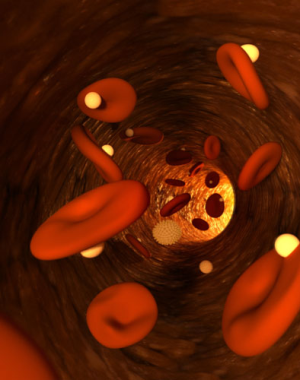 DailyTech – Scientists Ready New Nanobots to Swim in Human Blood Stream . Enter the nanobots — scientists at Micro/Nanophysics Research Laboratory at Australia’s Monash University have developed tiny nanobot micromotors that are a mere quarter of a millimeter, powered by tiny piezoelectric motors, capable ofswimming in the human bloodstream. They are putting the finishing touches on the motors and readying them for clinical tests on animals and, before long, humans. While the team is still devising ways to remote control the new robots, they feel that they have a solid solution for an autonomous motor design in the form of piezoelectricity. Piezoelectricity is the ability of devices to generate electric pulses based on mechanical movement or vibrations. Piezoelectric devices include computer’s clocks, electric guitar pickups, electric stove lighters, and some inkjet printer heads. In the human body, the flow of blood provides abundant kinetic energy. While a nanobot is too small to likely have a useful battery, it could exploit this kinetic energy to power tiny micromotors, the goal of the Australian researchers.